Wow, we are done with our fourth class already! We got really good news in that an extra week has been added to the schedule. That means we can cover more material and maybe introduce something new this year. This week we started out with the painting project from last week, The paintings look really good and I think the students had fun doing them. They were really into it this week. 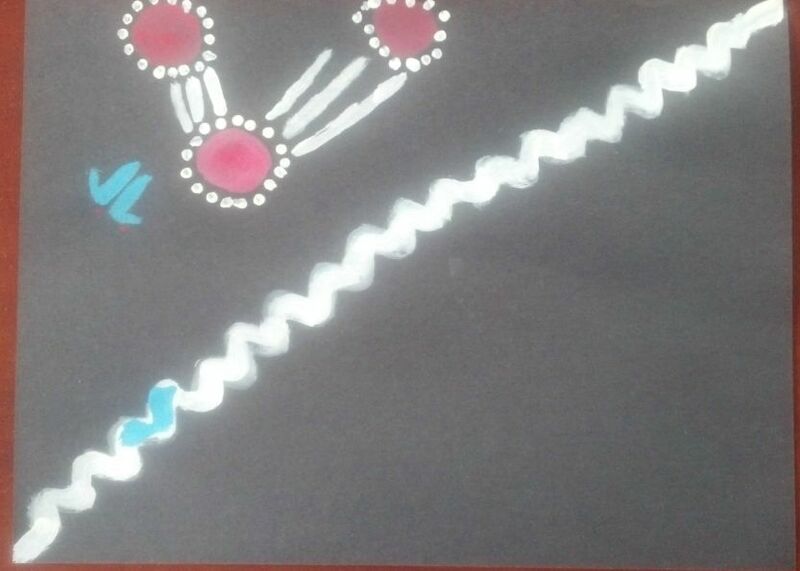 While they were painting I playewd music from the CD “Didge Blows the Games” by Ankala & World Orchestra. We wanted to finish the painting early in class so that the paint could dry and the students could take them home today. 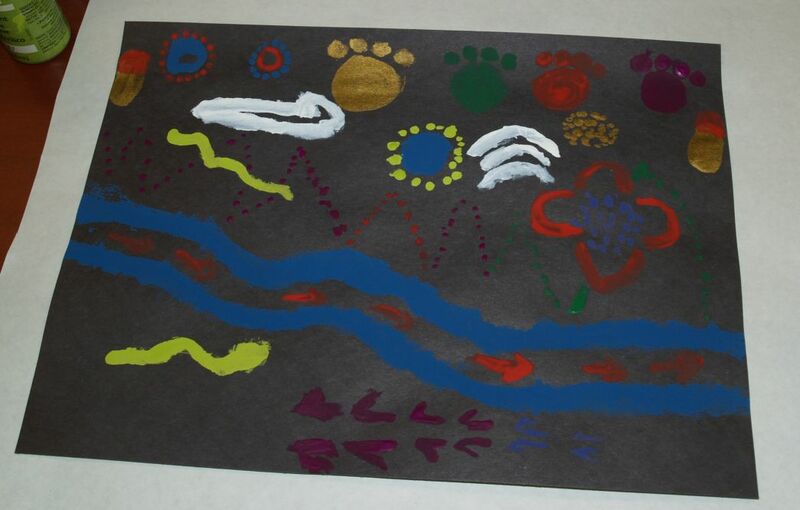 While the paint dried we moved on to more Dreamtime stories. 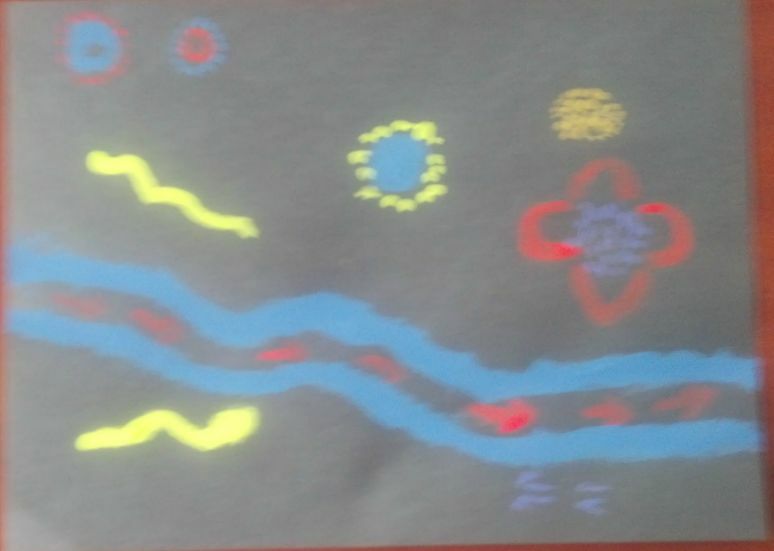 This week we learned about the Rainbow Serpent and the first sunrise. The students did all the reading. It was really good to have them answer the questions so quickly. The last thing scheduled was to watch some videos with Aussie music. The week it was “Waltzing Matilda” and “My Boomerang Won’t Come Back”. It was great when one of the students said during Waltzing matilda, “There a Coolabah tree, like in the Brolga story last week.” You really have to love it when they connect things from previous weeks. I had hoped for a really fun class today. My energy level seemed a bit low so I was in real need of a pick me up. The students were going to make their own Aborigianl style art. 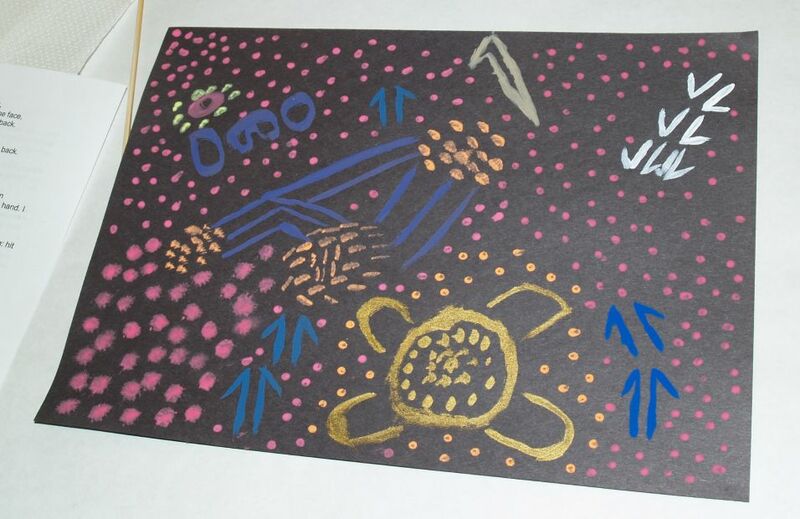 This year I again provided samples of Aboriginal art and also drawings of symbols used in the art. 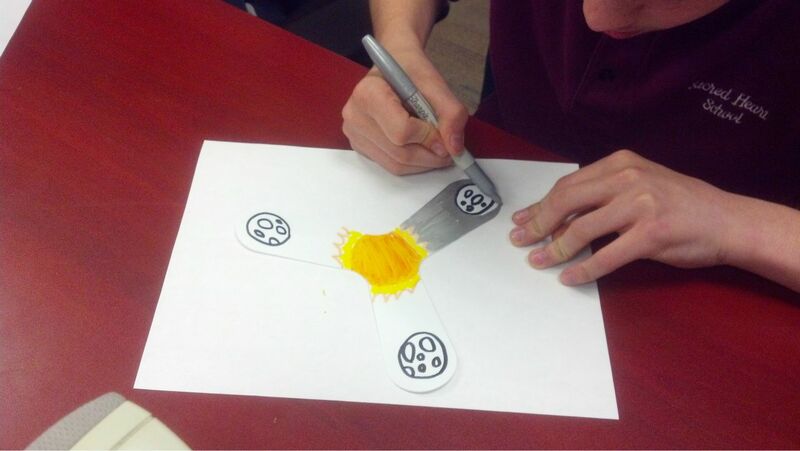 I also told the students that they had to incorporate 3 of the symbols in their own artwork. The class was hesitant at first to paint but we finally got them going. I was really impressed with what they did because the class was all boys and usually the girls take to the art better then the boys. Here are a few photos of the artwork in progress. 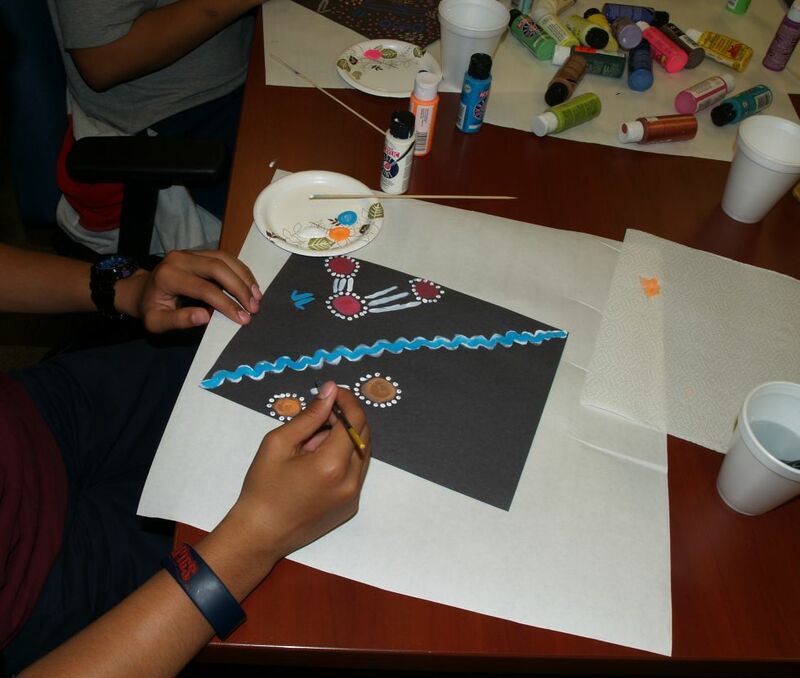 During the art session I played selections of music from the CD “Sounds of the Outback Vol 2”. I had the students stop painting to watch the viseo “Treaty” by Yothu Yindi. After cleaning up we read and discussed the Dreamtime story about where the Brolga came from. One student volunteered to read the whole story. I think maybe he thought if he read, then he wouldn’t have to answer the questions. Again the students were on the ball with the answers, sometimes answering the follow up questions before we asked them. They headed back to school and are enthusiastic about next week when they get to make didgeridoos. Today we started class with how a boomerang works. 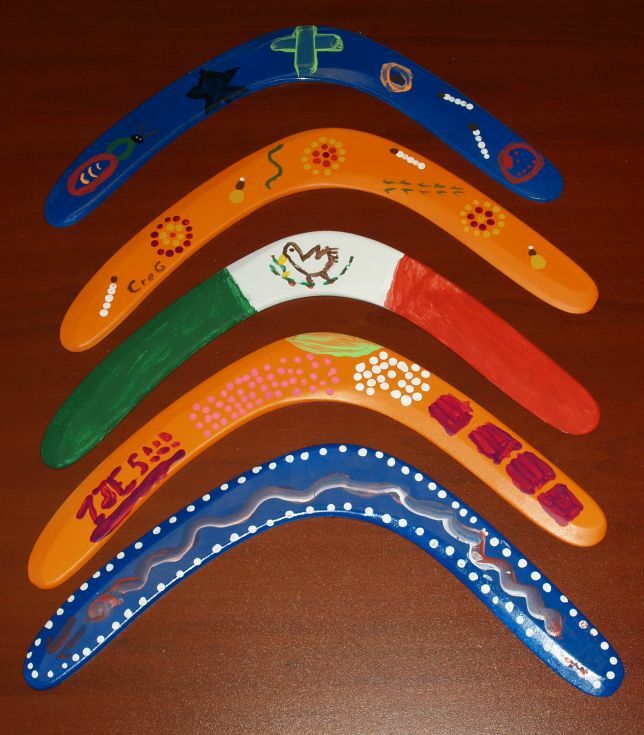 I used a Powerpoint presentation by Tom Conally maker of Flying Frog Boomerangs. 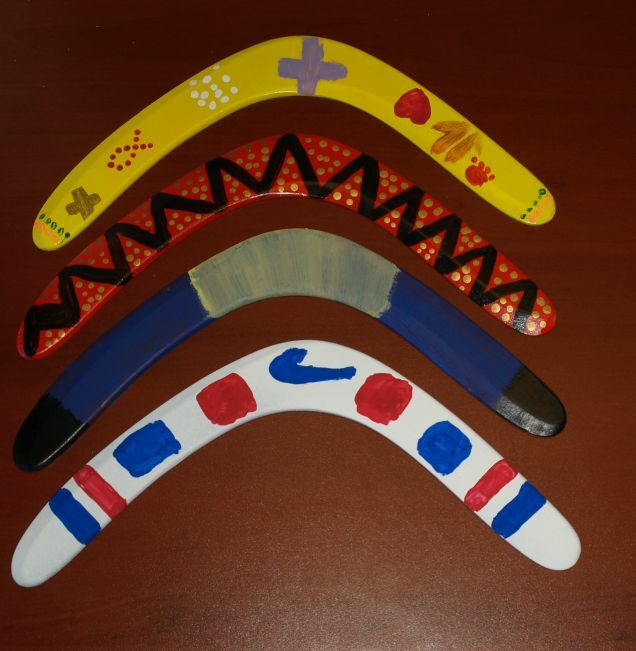 The presentation is titled “BOOMERANGS: Magic or Science?”. It explains Bernoulli’s Principle and gyroscopic precession. It also includes instruction on how to throw and catch a boomerang, effects of the wind and even a bit of history of boomerangs. It is a useful tool when doing classes such as this. It is detailed enough that it took up half the class period. After learning about boomerangs we got to have some fun. 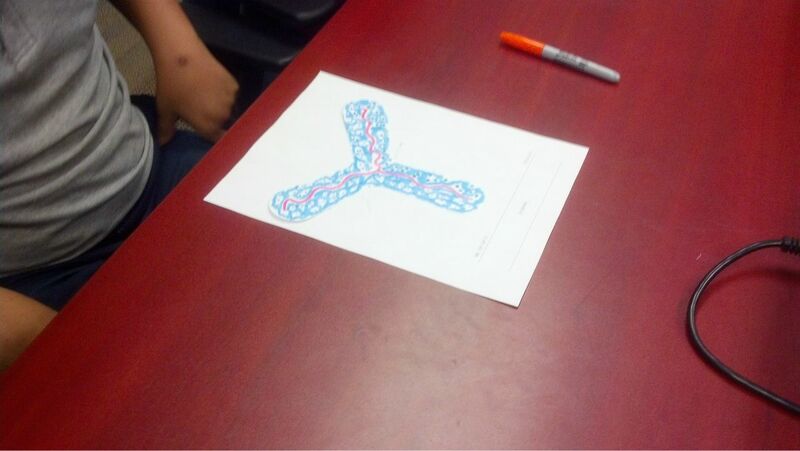 Each student got to decorate a Roomerang (thanks to Gary Broadbent) and bend airfoils into it. They did some pretty nice artwork in some cases. We then headed to the building’s lobby to test out the boomerangs. The class had paid close attention to the presentation and were doing great in almost no time. It was fun to watch them and I even got a short video of them on my phone. 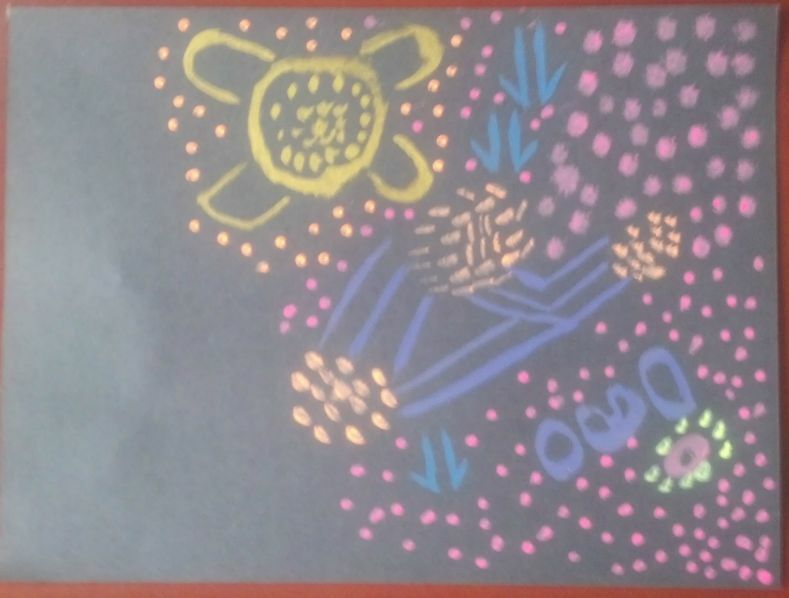 Next we switched gears and started reading stories from the Aboriginal Dreaming. Todays story was “The Red Waratah” a story about how the Waratah got it’s red color from the blood of an injured Wonga pigeon. I was pleasantly surprised that the class could answer all the questions I asked about the story. Its nice to know they are listening. All of a sudden out time was up and they had to get on the bus to head back to school. They are enthusiastic about next week.